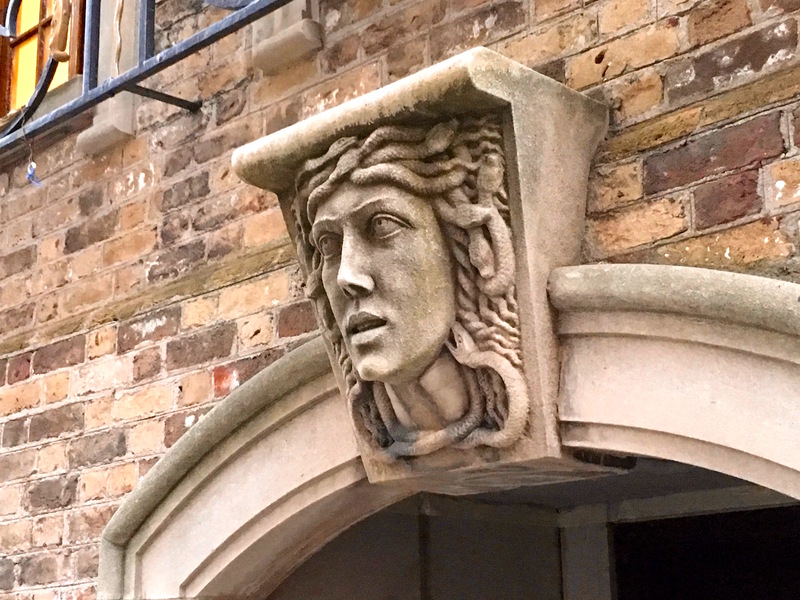 In Greek mythology, Medusa was a monster with snakes in her hair; looking at her could cause a viewer’s face to turn to stone. 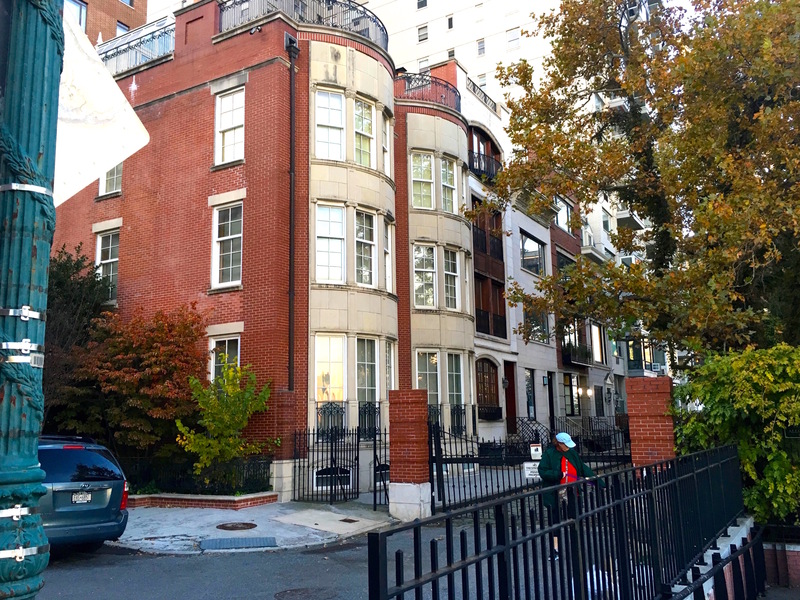 On contemporary Sutton Place near 58th Street, there’s another Medusa. Snakes live in her hair, but rather than turning viewers into stone, she herself is stone—a keystone that is. 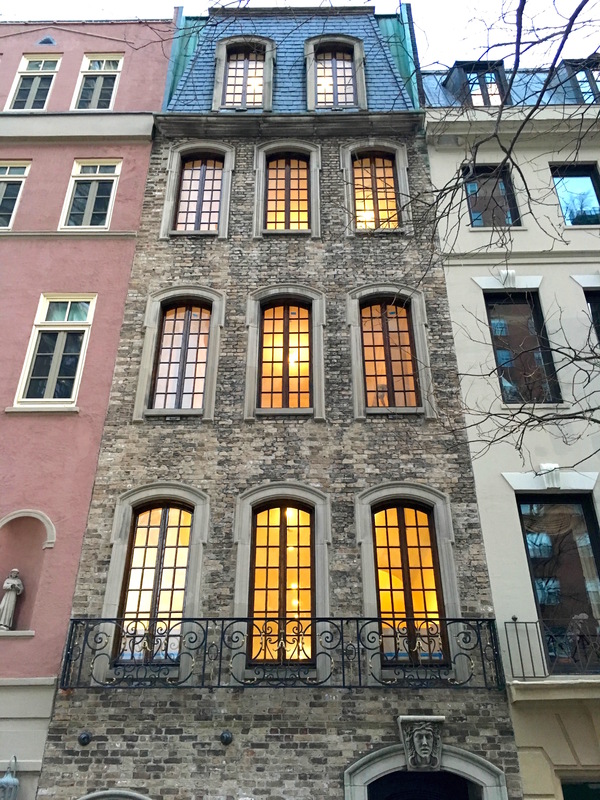 She frames the doorway of a beautiful five-story, French chateau–inspired townhouse below a lovely wrought-iron balcony. The house has a long backstory. 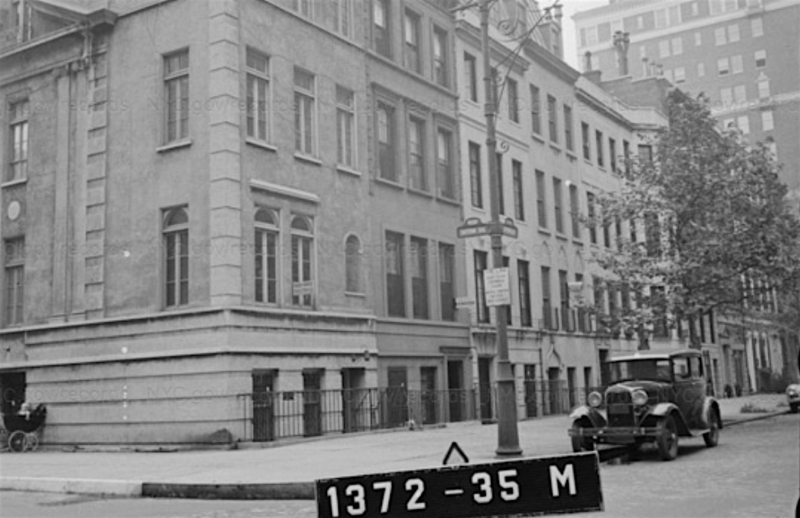 It was the first in a line of drab, out-of-style brownstones to be transformed by literary and decorating power couple Elizabeth Marbury and Elsie de Wolfe in 1920 into a luxury showpiece. 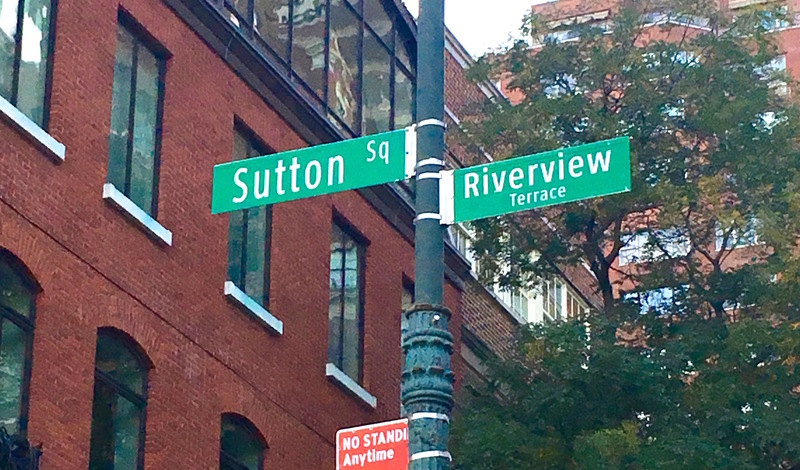 Soon after, the East Side street attracted New York’s most elite to the newly developed Sutton Place, according to Daytonian in Manhattan. But who put Medusa there? She wasn’t guarding the (much less ornate) doorway in the 1940 tax photo I found taken by the city, above. But she appears to be in another tax photo taken sometime in the 1980s. 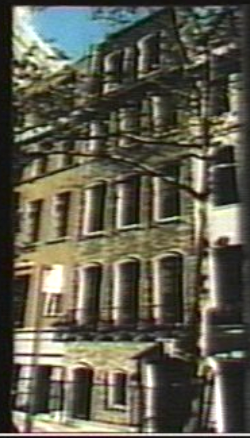 That photo also shows the townhouse looking much like it does today. 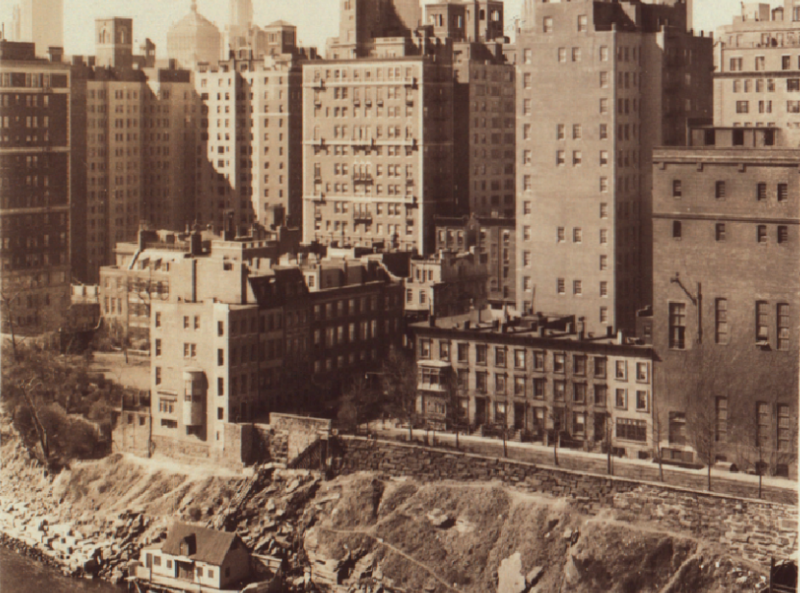 Though the quality of the image is too poor to be sure (at left). 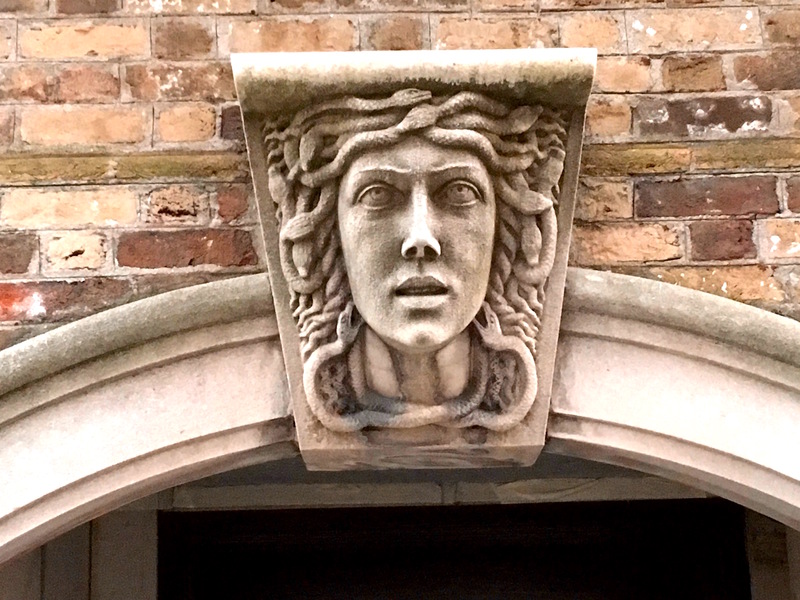 At some point between the 1940s and 1980s, an owner decided a scary Medusa head would be a nice addition to the facade. 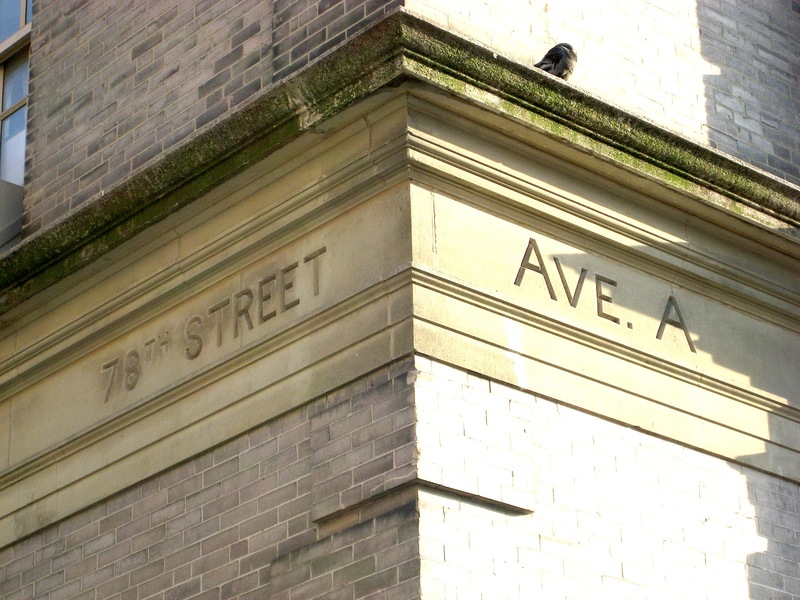 As the carved stone sign on this school building on 78th Street shows, Avenue A—long associated with the East Village—used to exist on the Upper East Side as well. The uptown branch started up again at 53rd Street. So why the name change? 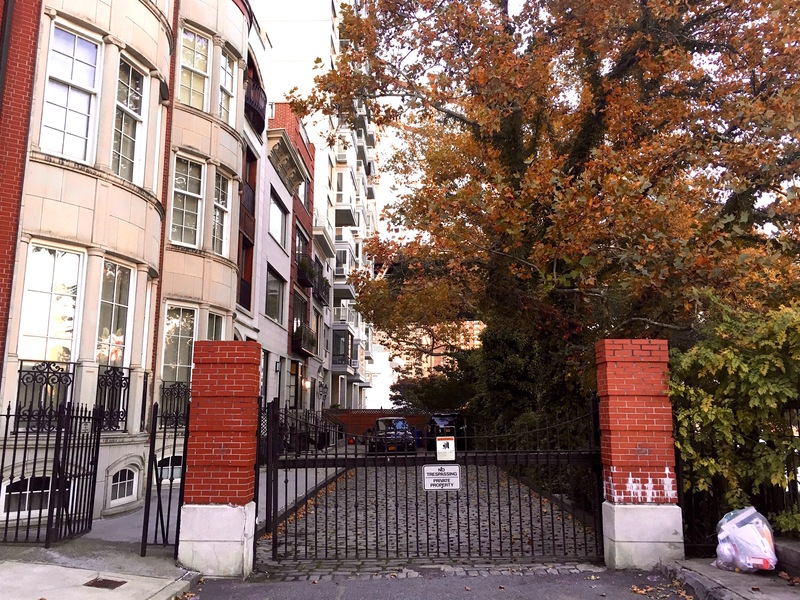 In 1928, most of Avenue A north of 59th Street was renamed York Avenue in honor of World War I hero Alvin York, a Tennessee native awarded the Medal of Honor in 1918. 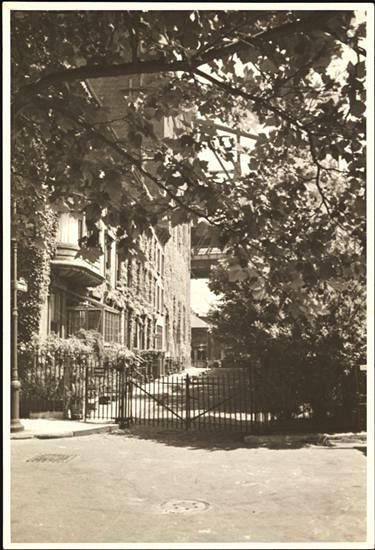 The portion between 53rd an 59th Street had previously been recast as Sutton Place, after developer Effingham B. Sutton, in the late 19th century. Here’s more on Alvin York and what he did to win the Medal of Honor.